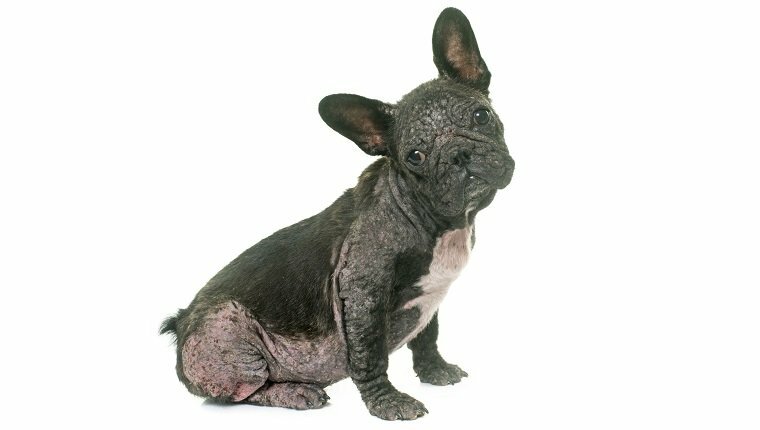 Mange is a skin disease in dogs that can be caused by several different species of mites. “You mangy cur!” is a time-honored insult, but if you could experience itchy scratch-til-you-go-crazy mange the way dogs do, you wouldn’t wish it on anyone. Highly contagious mites burrow into the skin, causing rashes, itching, and hair loss (alopecia). Mange can even cause lesions, scales, and problems with the immune system. The severity of the symptoms often depends on the type of mite causing the infection. Mange can be sarcoptic, demodectic, or notoedric depending on which species of mite is responsible. If you see the signs of mange in your dog, consult your veterinarian for a proper diagnosis and treatment. Here’s what you should know about the symptoms, causes, and treatments for mange in dogs. The symptoms of mange that show up in your dog, and the best way to handle them, depend on the type of mange he has. Sarcoptes scabiei mites cause sarcoptic mange in dogs. They set up camp on the dogs skin and mate, and the female mites burrow into the skin to lay eggs (say it with us: ewwww), setting off an allergic response in the dog and making him mighty itchy. This usually happens when dogs are exposed to another infected animal, which is common in shelters, dog parks, vet clinics, and groomers. Usually it takes about two to six weeks for symptoms to appear. These mites prefer hairless skin and tend to burrow into ear flaps, elbows, and the belly. Check those areas for red, scaly skin. In later stages the ears may get a crusty edge. Eventually, the mites will burrow anywhere on the dog’s skin and the whole body will be affected. 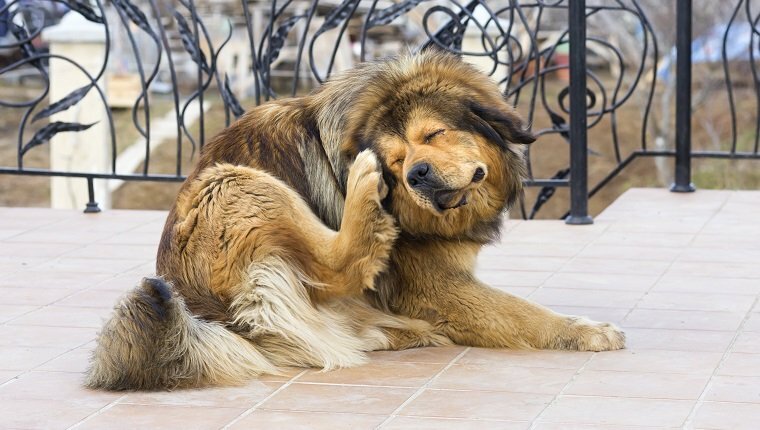 The itching is intense and can make your dog really miserable. You may notice a rash and alopecia. Skin scraping tests are used to diagnose sarcoptic mange, but they’re not too reliable; in fact, vets are able to confirm the presence of mites in only about half the cases of sarcoptic mange. Often, a vet will treat a dog who has symptoms and just wait to see if he gets better. Your vet may give your dog medication and shampoo that kills mites. Several different treatments may be used, as some mites have developed immunity to certain dips, such as invermectin, selamectin, lime-sulfur, and doramectin. Throw dog beds, collars, and harnesses in the washing machine or replace them. Sarcoptic mange is highly contagious, so if you have several dogs and one appears to have it, treat them all — otherwise they’ll just keep passing it back and forth. Even after beginning treatment, dogs can be contagious for about a month. Keep infected dogs quarantined during this time. Demodex canis mites, which live in hair follicles, cause demodectic mange in dogs. Almost every adult dog (and human) has them without ever being bothered. Puppies catch this mite from their mother during the first few days after birth. Most pups suffer no ill effects, but some develop mange. This could be due to genetic factors or a compromised immune system. Older dogs with depressed immune systems can also develop mange from these mites. There are three forms: localized, generalized, and demodectic pododermatitis. Localized demodicosis causes hair loss (usually the first sign) and red, sometimes scabby spots on the face or front legs, and it affects puppies almost exclusively. Some cases — often in young dogs with a genetic predisposition to the disease — will turn into generalized demodicosis. Generalized demodicosis causes the same scaly skin and hair loss that you see in localized mange, but it can affect the whole body. Most sufferers are young dogs, although an older dog with a weakened immune system can also get it. Older dogs definitely need to be taken to the vet to find out why their immune system isn’t handling the mites. Demodectic pododermatitis affects only the paws. Unlike sarcoptic mange, the mites that cause demodectic mange are easy to find with a skin scraping. Because all dogs have these mites, however, a skin scraping alone isn’t enough for a diagnosis — the dog also needs to have symptoms. Localized mange may go away on its own, but an insecticide cream or gel may speed up the process. Generalized mange may go away by itself, but the dogs are usually treated with oral medications or dips. If the mange is accompanied by a skin infection — which is likely — the dog will need antibiotics as well. Stress and poor health make dogs more vulnerable to the disease. Feed your dog a good diet, take them to the vet regularly, and keep up with flea, worm, and heartworm prevention. And spay girl dogs — pregnancy and heat cycles are stressful on the body. Dogs with localized demodicosis have a good chance at a full recovery; some dogs with generalized demodicosis will recover, others may need treatment for the rest of their lives. The younger the dog, the better the chances of a total cure. This kitty mange is caused by the Notoedres mite, which is closely related to the mite that causes sarcoptic mange, so the two conditions are quite similar. Notoedres mites are spread by contact and they can infect humans and dogs. This is a fairly rare condition (some vets never see a single case) in the U.S., but it’s common in certain regions. 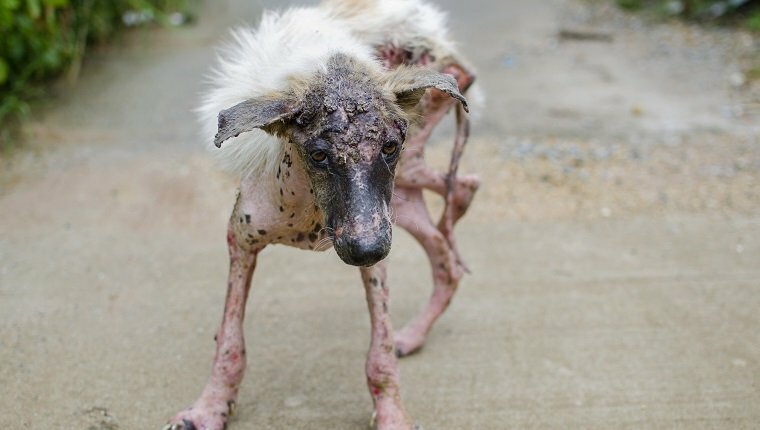 Treatment is similar to that of sarcoptic mange. Neuter and spay affected dogs to stop them from passing on a genetic predisposition to the disease. Keep your dog’s immune system in good shape to help protect them against demodetic mange or speed their recovery. Feed your pup a healthy diet and stay on top of flea, worm, and heartworm prevention. 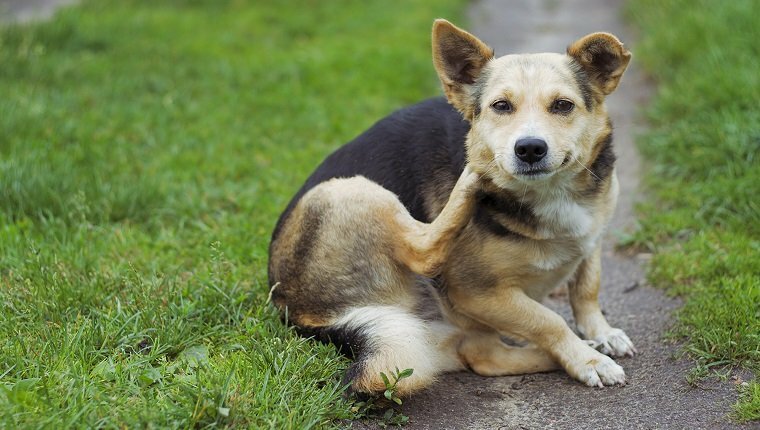 If your dog’s scratching like crazy and you can’t see any fleas, a visit to the vet is in order to check for mites. Like any condition, mange is easier to treat it in the early stages. Because symptoms can mimic other conditions, such as allergies and other types of skin infections, you’ll need a vet to know for sure if mange is really the problem.